Steven Boyd Menack, JD, APM, M.P.A. Steven Boyd Menack, Esq., APM, a renowned practitioner, presenter and proponent of divorce and family mediation, is the Founding President of the New Jersey Association of Professional Mediators, and an Advanced Mediator and Founding Member Mediator within the national Academy of Professional Family Mediators. 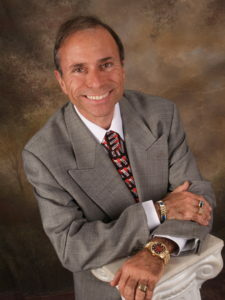 A Harvard University scholar and Columbia Law School graduate, Steve has performed more than 5,000 mediations since entering the field of divorce mediation in the early 1980’s, and has personally trained numerous attorneys, psychotherapists, financial planners and accountants in the professional practice of divorce mediation through Rutgers University and other educational institutions. Recognized by Who’s Who in American Law, Who’s Who in America, and Who’s Who in the World, Steve has contributed extensively to legal publications on mediation since the middle 1990’s, has been quoted in the printed press on divorce mediation, and has appeared as a guest speaker on divorce mediation in national and regional live and taped television shows and radio programs. Nationally regarded as an accomplished and tireless advocate for the professional practice of mediation, Steve served as Chair of the Certification Committee of the Academy of Professional Family Mediators, he currently serves as Vice-President and Professional Development Committee Chair of the Professional Mediation Board of Standards, and also sits on the Board of Directors of the national Academy. Steve’s objectives are to continue his contributions in professionalizing the practice of mediation by working to develop standards and examinations for a professional Certification in divorce and family mediation for mediators throughout the United States.